Mucho weeping around the homestead this week as we waved off Senior Teen to the big bad world of university. I did all I could to help prepare her (advice on how to use the washing machine and which are the best ciders etc) but I’m not sure how much impact this had. 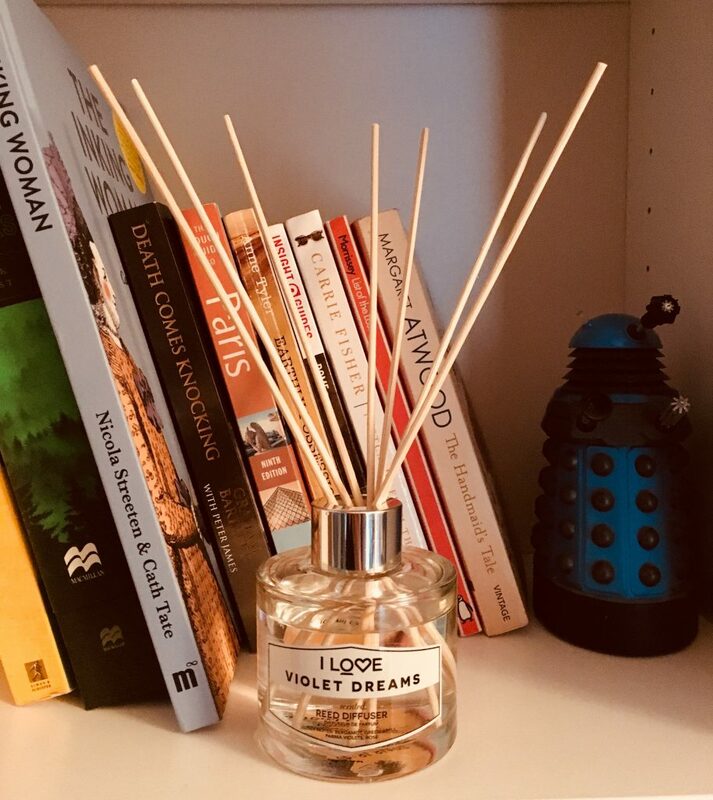 I did manage to send her off on a cloud of fragrance thanks to these new reed diffusers from I Love Cosmetics. Candles are forbidden in university halls of residence, but students still need something to mask the scent of unwashed bodies and three day old pizza. And this is where a diffuser can come in very handy indeed. Earlier in the year we looked at the latest bath & body products from I Love Cosmetics. The company has now added a home fragrance line with matching scents. So both you and your home can smell the same, which is useful if you like to play hide and seek. 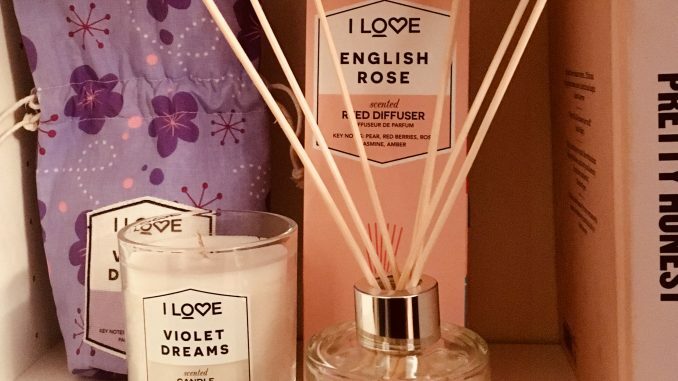 I tried out the Violet Dreams scented candle, plus the reed diffusers in Violet Dreams and English Rose. Violet Dreams is a signature I Love Cosmetics scent, and it’s basically identical to lovely parma violet sweets. 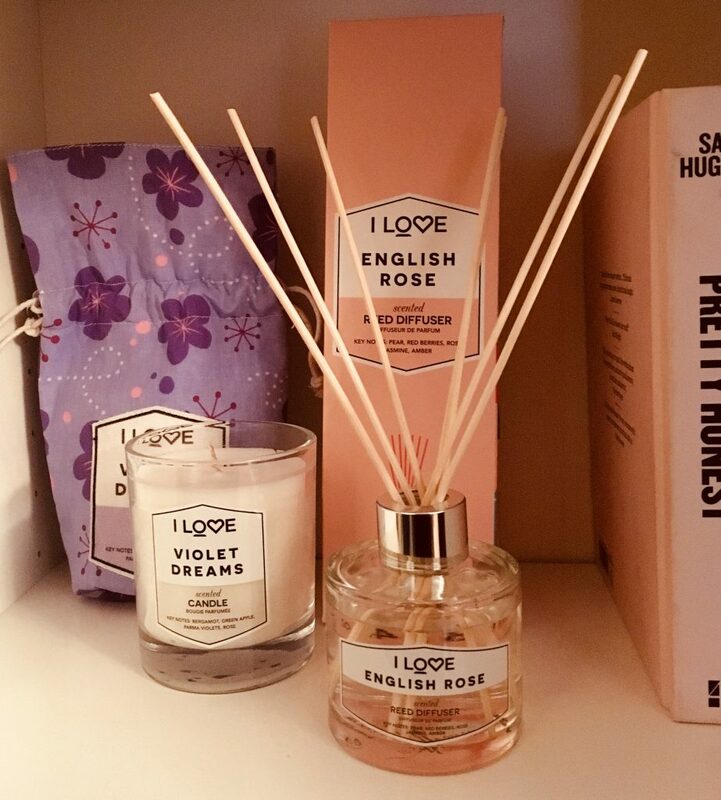 English Rose is more of a dreamy, muted rose scent. Both the reed diffusers and the candle have a medium strength scent, so it’ll fill the room you’re in but not the whole house. The candles come packaged inside a sort of fabric sleeping bag, which is a nice touch if you want to give it as a gift (not to a student though). In fact any of these would be nice as a gift – the reed diffusers come in a glass bottle with pastel-coloured cardbaord outer. As well as the scents shown here, the range includes Elderflower Fizz, Glazed Raspberry, Vanilla Milk and Exotic Fruit. Candles burn for around 40 hours and the diffusers last around 12 weeks. Products are not tested on animals and are suitable for vegans. Formulated & made in the UK.